Apparently a draw will be decided with a game of Hopscotch. Should use rubbish bins as the goals. I don’t want any of our players thinking about anything but the real thing, or risking injury doing something they ordinarily wouldn’t. That’s all I care about. As usual Hawthorne seemingly getting away with thumbing their noses at it, and I’d be very happy if we did the same, even better played four non best 22. And what happens if you were a club member and actually purchased a ticket - do you get your money back? All AFLX players will get a certificate of participation, piece of cake and lolly bag before being picked-up by their parents. And what if they want to coordinate a tournament to play against each other? AFL declares AFLX a success due to massive demand for tickets? Next step is giving away Free 3 Game M/ships to your Club of choice if you’ll just turn up, … Pleeeezzzze!! Nailed it re the expat comment. I’m certain the AFL would have no idea what the expat market wants and to think they actually might is laughable. The sport is thriving here in Singapore based on junior numbers without need for a manufactured gimmick. 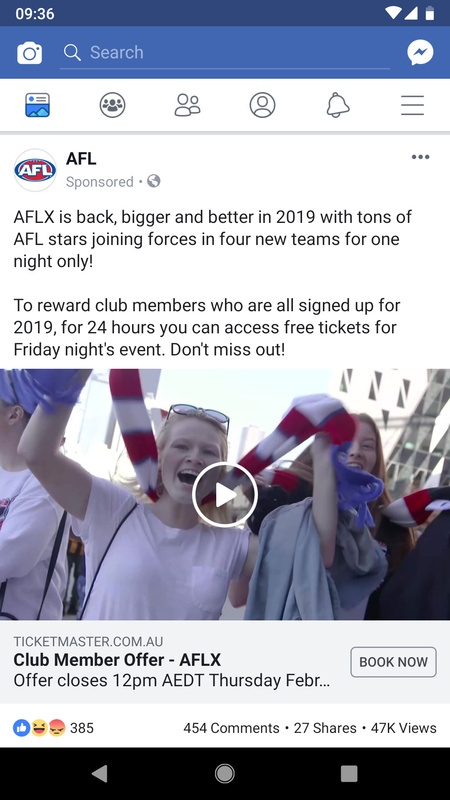 I could believe that the world is flat, the Easter bunny is real, there is an omnipotent God, Trump is a stable genius even, but no way can I believe that anyone has actually purchased tickets to AFLX. It’s the same in Hong Kong - Auskick numbers are healthy by HK standards. You see - when I was a kid I didn’t need novelty-sized games, face painters, balloon artists and giveaways - to go to the footy. I just enjoyed the footy and I was only seven. I’ve got tbh, when I was a kid at the footy id spend half a game drawing moustaches on people in the Record.